Nanocapsules deliver fertilizers and pesticides efficiently. They can also be used to deliver vaccines and be found in vitamins. Nanoadditives enhance or prevent the absorption of nutrients or other substances. Nanofibers in cloth release pesticides in a way that keeps the chemicals contained. Organic Nanofibers are biodegradable and antimicrobial. Titanium dioxide improves the aesthetic appearance of white food. Nanosensors measure crop production and soil conditions. They can also detect pathogens. Biodegradable nanosensors monitor food. Certain sensors will flash light to reveal e coli. Silver nanoparticles are useful for controlling crop pests. Nanobarriers store food and keep it fresher. Nanocarbohydrates latch onto bacteria and destroy it. Nanotechnology produces edible food packaging that kills bacteria. 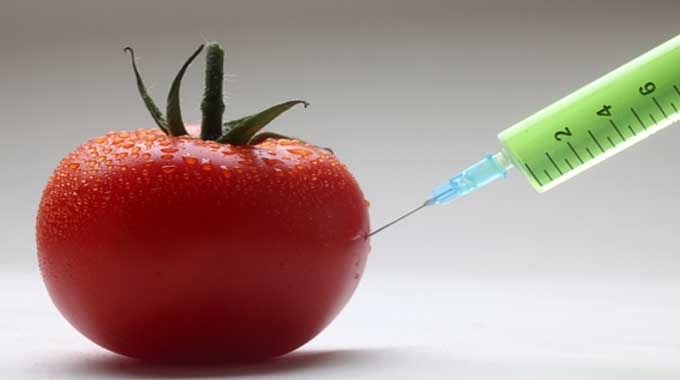 The effects of nanotechnology on plants are not well understood. Scientists have found that zinc oxide can hurt the plant’s ability to use nitrogen. Before we implement these technologies fully, we must develop strict procedures to analyze the complete effects on the environment. Many also worry that the nanotechnology on the packaging materials will get onto the food and hurt the consumer. Nanotechnology needs to be strictly regulated for this reason. The European Food Safety Authority and Canada’s Food Directive are both addressing nanotechnology and food. Nanotechnology does many amazing things for food production and preservation. However we need to be cautious when using it until we know its full implications.